A recent scientific article in the journal Fisheries Research by Jacob Brownscombe et. al. (1) goes through the latest science behind successful catch-and-release best practices. The article entitled “Best practices for catch-and-release recreational fisheries – angling tools and tactics” contains key tactics for releasing fish back into the wild that will mitigate both immediate and delayed mortality or impairment – i.e. the fish goes back with an optimal chance to be one day caught again! It’s a pretty large chunk of work that I’d like to breakdown into a couple of posts, highlighting a list of best practices that can be employed. It’s worth noting up front that three key factors correlating with fish death are 1) type of terminal tackle, 2) time out of the water and 3) water temperatures. Angling experience is also highly correlated with fish survivability. 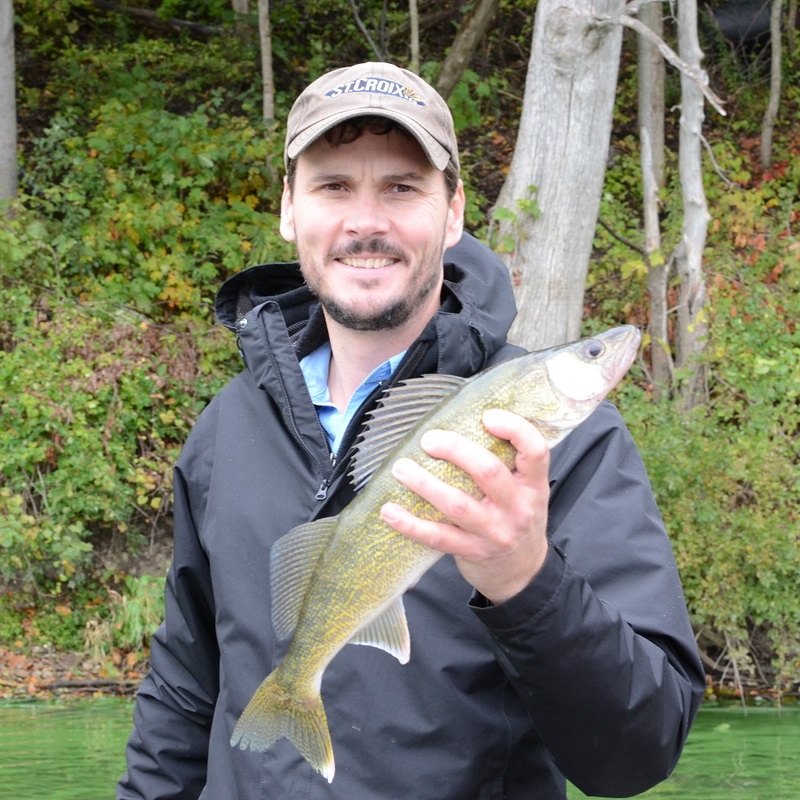 Experienced anglers can hook, play, land, unhook, and release a fish quickly. They are generally more prepared to handle a bigger fish, have the tools at hand to unhook a fish quickly and have the experience to do it with minimal damage to the fish. Translation: experienced anglers need to teach novices not just how to catch a fish, but how to handle it and release it effectively as well. Lure and hook size are the primary factor in hooking injury, the primary cause of angling related mortality. Small hooks and lures are much more likely to be deep hooked than bigger lures and hooks. Single hooks can generally be removed quicker than treble hooks reducing time out of the water. However, the size difference between single and treble hooks (of similar size rating 1/0, 2/0 etc.) means that single hooks are more likely to be deep hooked as compared to treble hooks. Interestingly, barbless hooks also reduce injury and hooking times but there is little scientific evidence that they reduce mortality. Circle and octopus hooks reduce injury compared to J-style or treble hooks when using live bait or soft baits. Offset circle hooks, however, appear to be worse than standard circle hooks. Wide gap hooks appear to result in lower hooking injury. For lure types, natural (live) bait use is most prone to injury, with soft artificial baits being better and hard baits least prone to injury. Scented soft baits showed no greater hooking depth than unscented soft baits. Overall, the worst combination appears to be live bait with a J-style hook, presented on a float or bobber. Best to use this presentation for fish to be harvested. Fairly simple – lower retrieval (playing) times results in lower mortality. Larger fish fare worse with long fight times compared to smaller fish – translation: if you are going after big fish make sure you are using the appropriate gear. High water temperatures combined with long fight times are most problematic. Again, using heavier gear helps to mitigate this problem. It’s worth noting up front that three key factors correlating with fish death are 1) type of terminal tackle, 2) time out of the water and 3) water temperatures. Minimize air exposure, keep fish in water while prepping for hook removal and/or measuring/weighing and picture taking. Have live well filled and ready. Rubber nets are shown to minimize epithelial (skin) damage, carry the appropriate size net for the target species and possible incidental catches. Avoid letting the fish fall on carpets, edges etc. Cradles are a good choice for larger species (pike, musky) and for in-water handling and release. Lip gripping devices are not advised and can cause injury. Gaffs should only be used on fish to be harvested. Clean, wet hands or non-abrasive gloves are best. Studies are showing that lip gripping devices for handling and weighing are proving to be causing damage to many types of fish. Use with caution! Be prepared with the proper tools to minimize air exposure. Speed in removal of the hooks is paramount to survival. For fish hooked in sensitive tissue, particularly the esophagus, cutting the hook or line is often the best choice. One study on bluegill showed that with fish hooked in the esophagus, 40% mortality was found if the hook was removed while only 9% mortality was found for those with the line cut. 46% of the fish were able to expel the hook (with the line cut) after 48 hours. Many studies show that the fish can expel the hook fairly rapidly. As an aside, many anglers mistakenly believe that hooks will quickly rust out of a fishes’ mouth. With old steel hooks in salt water this may be partially true. However, in fresh water and with modern high end nickel plated and specialty alloy hooks this is just not happening. Again, minimal handling and air exposure are key. Have cameras, scales and measuring devices ready to go beforehand. Length measurement is promoted over weighing as there is less likelihood of damage. Measuring while submerged in water in a live well is a good option as are bump boards that provide a rigid structure for restraining fish. Weighing fish while they are within the net or weigh bag is best. Weighing with a lip gripping device or large hooks inserted in the base of the gill cover (operculum) have potential for damage for certain species – use with caution. Lots to digest here but definitely worth your time to think about how you can implement these practices into your fishing routines. In Part 2 we will look at fish assessment and recovery methods prior to release. (1) Brownscombe, J.W., et al., Best practices for catch-and-release recreational fisheries – angling tools and tactics. Fish. Res. 186 (2017) 693-705.